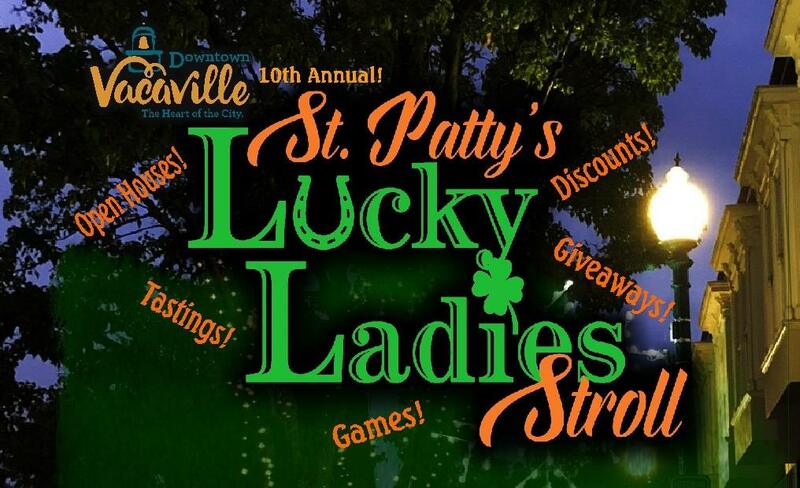 It's Downtown Vacaville's annual Lucky Ladies stroll! Over 50 merchants will open their doors for a fun evening of giveaways, discounts, food, games, and more. Wear something green and bring some friends for a fun night out! Featured merchants: Fleet Feet Vacaville, Mirage Salon & Spa, Pretty N Chic, The Last Tangle Salon and many, many more! 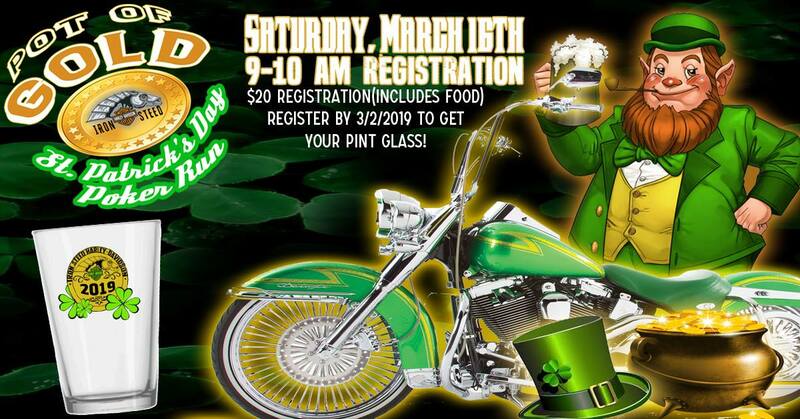 Don't miss Iron Steed's annual St Patrick's Day run! This 3 stop run will start and end at Iron Steed. The run will conclude with St Patty's Day celebrations including a live band, Irish food, green beer, a search for gold coins, and more! Ride tickets are $20 and include food at the end of your run. NorCal Resistance presents its annual arm wrestling tournament at The Point! Bring the whole family for a day of fun. cash prizes and awards will be given to the top pullers. 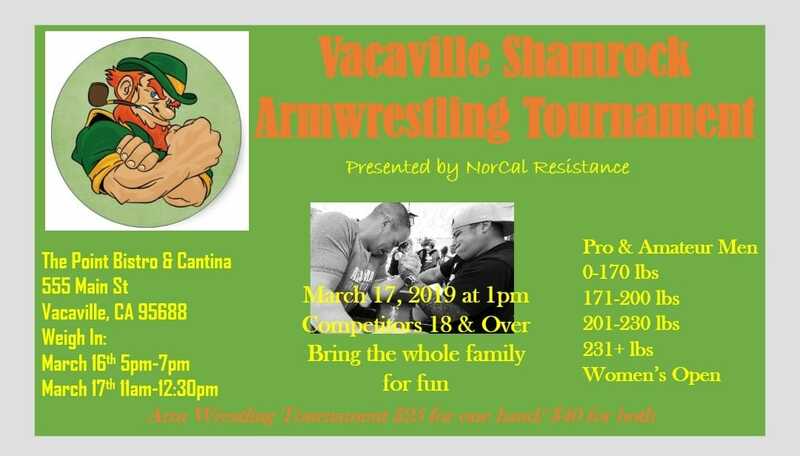 Head out to this event to see what armwrestling is all about! Head to The Brass Tap on St. Patrick's day for specials all day long! There will be specials on Irish Car Bombs, Jameson shots, Irish food and beer! There will also be a costume contest at 3pm. so mark your calendars! 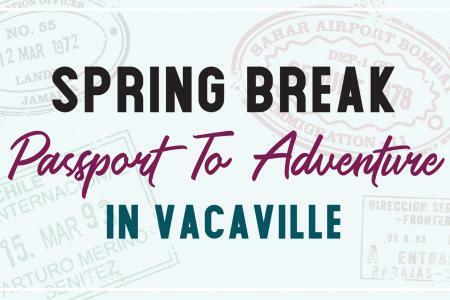 Join the karaoke fun at Vacaville Elk's Lodge! You can purchase 3 food tickets for $10. There will be a nachos station, a hot dog station, and an ice cream sundae station. 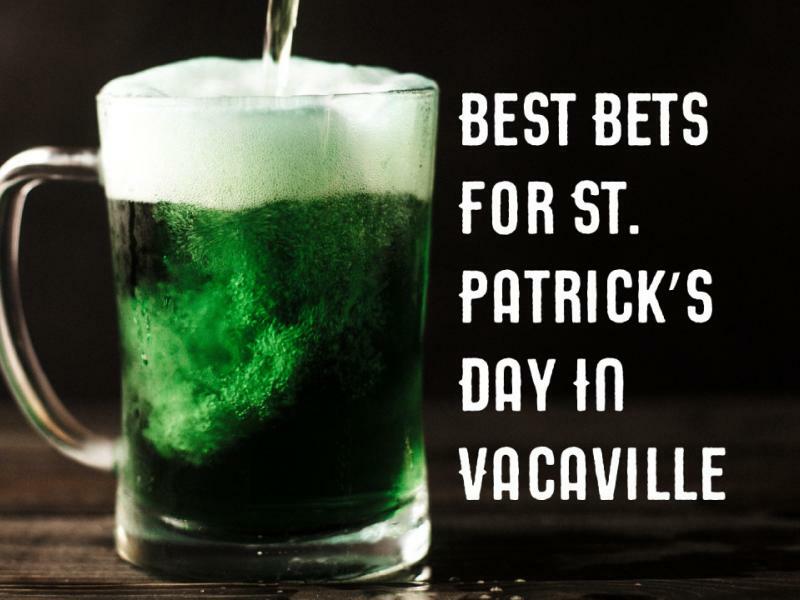 St Patrick's Day Performance by The Vacaville Irish Dance Co.
Get ready for St Patty's Day with a performance by the Vacaville Irish Dance Company! 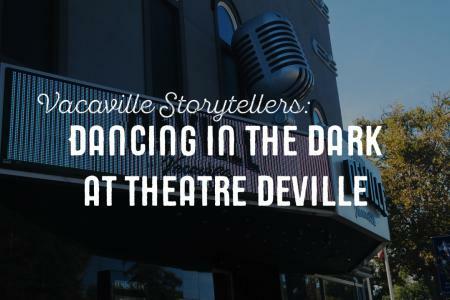 This group of skilled dancers will share a spectrum of traditional Irish dances. All are welcome to celebrate! Blue Oyster Cult has been thrilling fans with their hard rock sound worldwide with powerful albums loaded with classic songs. They are revered within the hard rock and heacy metal scene for their pioneering work. You won't want to miss this show! How are you celebrating St Patrick's Day this year? 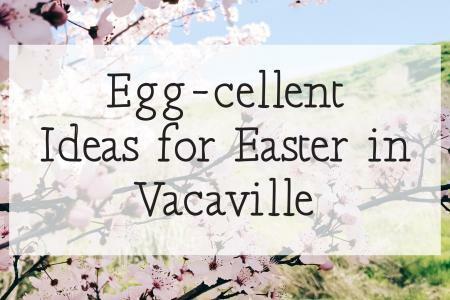 Don't forget to follow us on Facebook, Instagram, and Twitter, and tag us in your Vacaville posts with #ilovevacaville! New & used Harley Davidson motorcycles in Vacaville, California.